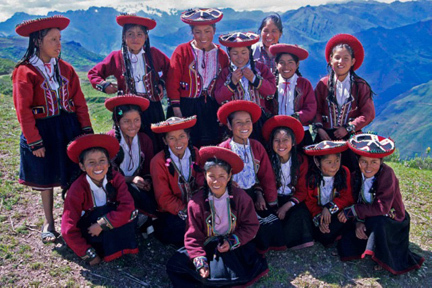 At Descendants of The Incas, our goal is to give you a flavour of the rich culture of the Incas people living today near the city of Cusco, once the capital of the Inca empire. The website was the original site for the Center For Traditional Textiles of Cusco, Peru and was developed to fulfil one of the Center’s goals, to share information with you and others about the Native American culture and art of the Andes. The Center’s overall purpose is to help preserve and celebrate Andean textiles, improve the economy of the villages and assist weavers in carrying on a tradition practised for more than 2000 years. The Center is fortunate to have Nilda Callañaup Alvarez, in Cusco, Peru as founder, Director and President for more than a dozen years. During this time the Center has expanded to collaborate with nine villages and has a central museum, permanent exhibit, museum shop, and offices and dormitories for visiting weavers at its central location in Cusco at Avenida Sol 603, near the site of The Temple of the Sun. Nilda grew up in the high village of Chinchero, an important Inca center where, in the sixteenth century, the Emperor Tupa Inca built his country estate, a palace, temple, ceremonial spaces, terraces and royal storehouses. Chinchero also served as a Tambo or resting place on the Inca Royal Road. Machu Picchu, the so-called “lost city of the Incas,” not far from Chinchero, is thought to have served as one of Tambos on the Inca Road. We welcome any suggestions or feedback from you as you explore our site. The best way to understand another culture is through stories, and you’ve never read any stories quite like those in Van Buskirk’s new book. 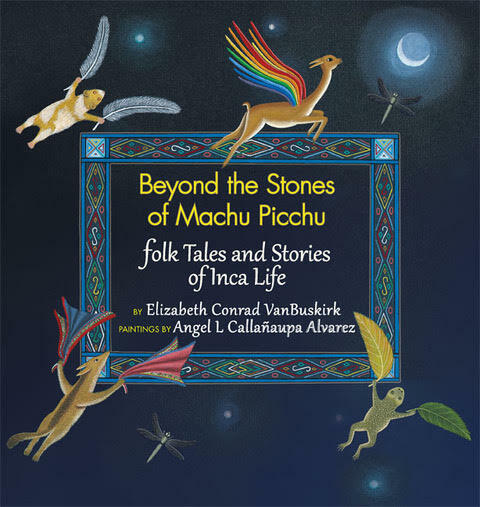 VanBuskirk has vibrantly captured the details of Andean village life through retold folk tales and original stories. Set against the colorful and lively illustrations by Angel Callañaupa Alvarez, each story brings forth Inca rituals and beliefs about the living earth, the majestic mountains, the sky and stars, and the stages of life and growth. “I wanted to introduce readers to a rich culture often overlooked in our education, and to provide new ways of looking at our world,” says author Elizabeth Conrad VanBuskirk.